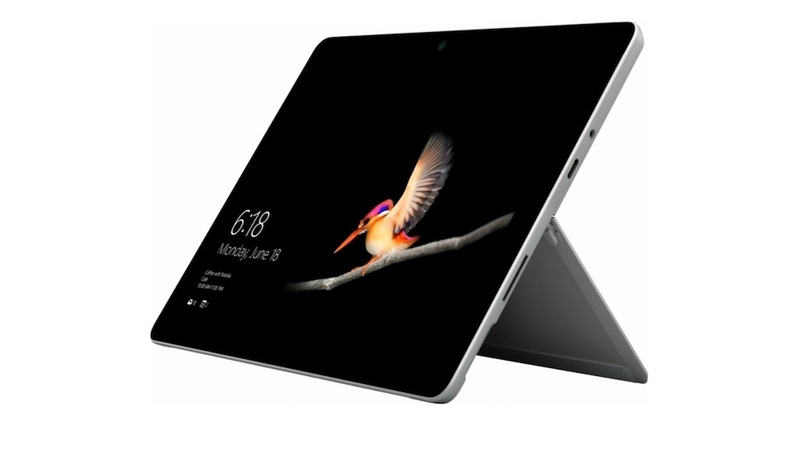 Given its very reasonable, sub-$700 sticker price, it’s fair to wonder just what is missing from the Microsoft Surface Go. 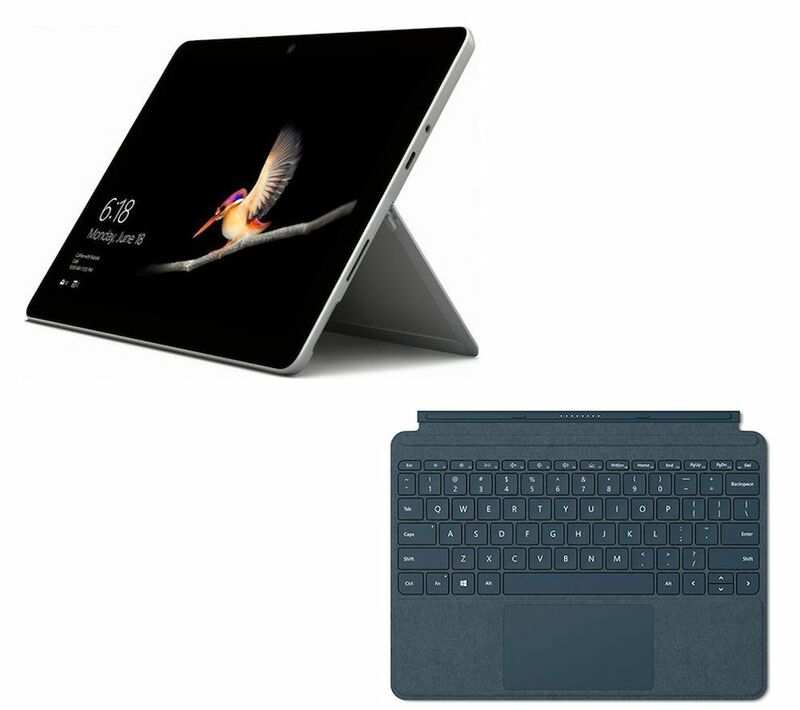 Is it just a budget tablet with a clip-on keyboard? What corners have been cut? But here’s the thing, very little was sacrificed. The Go is a shrunk-down Intel-powered Windows PC whose petite form factor makes it an ideal travel companion – provided you understand its limitations. The biggest of these is perhaps its lack of keyboard. Out of the box, you only get the Surface Go tablet and its power supply. The Type Cover keyboard seen in advertising and most reviews is an additional $170 to $220, depending on where you shop. 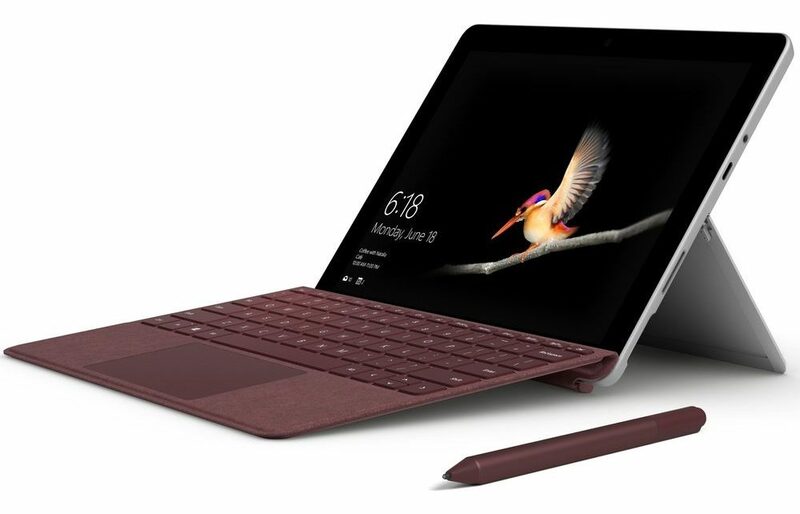 With the Type Cover keyboard, however, the Surface Go is transformed into a versatile and extremely portable device. The review model I tested sported 128GB of storage plus 8GB of RAM. A cheaper version is available with just 64GB storage and 4GB of RAM. Storage is expandable via a microSD card slot located underneath the Go’s kick-stand. Design-wise, the device is pretty much a shrunk-down version of its larger Surface siblings. Like those, it feels both sturdy and well-constructed. It isn’t ruggedised or mil-spec, but it still feels sturdy enough to handle the rough and tumble you’d expect from lugging a laptop bag about, further strengthening its travel tech credentials. Its compact form factor is in part due to its kickstand. It might be a tablet with a PC OS and a clip-on keyboard, but the kickstand allows you to use it almost anywhere. It feels remarkably solid propped up on a train table, airline tray table or even a lap. The kicker is that the kickstand can fold out at almost any angle, and stays put once extended. In an age of edgeless smartphone displays, it’s interesting to note that chunky bezels surround the Go’s screen. This is probably due to the front-firing left and right speakers that occupy the left and right sides as well as the webcam/LED flash on its top bezel. The speakers won’t shake any plaster lose from your lounge ceiling, but they are plenty loud and offer up passable audio for Skype, gaming and casual media consumption. The other key travel consideration is its portability. It weighs in at a mere at 522g, which while marginally heavier than a 9.7-inch iPad, is a fair trade-off for a larger screen and the ever-so-handy kickstand. The only physical buttons on the Go are its power and volume controls which are on its top side. Microsoft has opted not to include a fingerprint scanner, and while you set up Windows Hello which uses the front facing webcam to unlock with face recognition, it’s hit and miss compared to just swiping my dabs. On the underside sits a Type Cover keyboard connector and on the right-hand side is a 3.5mm headphone jack plus a USB-C and the Surface Connect Power Port. The Surface Go’s 10-inch IPS LCD is fine, too. While it might not be up to snuff for photographers, it’s more than ample for Netflix and knocking out documents or procrastinating on Twitter. Out of the box, the Go runs Windows S, a version of Windows that restricts the user to using certified apps from the Microsoft App Store. Side loading from the web is blocked. With store apps running in a sandboxed environment, Windows S is super secure and relatively low maintenance (until a Windows update breaks something). For those wanting more flexibility, you can upgrade to the full Windows 10 enchilada at no extra charge. App installation restrictions aside, Windows S pretty much works like the Windows most of us are familiar with. I pined for Chrome and Google’s Search engine but for kids a Surface Go and Windows S makes a tonne of good sense. The 8GB of RAM helped the Go cope fine with web browsing, knocking out Word/Excel and PowerPoint documents. The slightly cheaper 4GB model is likely to be somewhat more sluggish, but even then this is only really likely to be noticeable if you have dozens of browser tabs open and try to edit HD video or do anything Photoshop or gaming related. The one issue I had with the Ssurface Go was resolved. My cursor would randomly fly all over the screen. Text would be randomly overtyped and document creation was a shambolic if not chaotic process, bordering on impossible. This was easily remedied by running the touchscreen calibration app (which really should be part of the initial set up process). Grizzles aside, having Windows 10 in such a portable beast is a real boon. It gives a huge amount of flexibility that simply isn’t available with Android and iOS tablets. Adding printers and scanners? No problem! All my favourite apps are also but a quick download away (once I’d made the leap away from Windows S). That said, to get the most out of the Go with Windows 10 you do need a keyboard. You could use Windows 10 on-screen keypad but in use with Windows 10 it is at best a pain. If someone had told me in the past that Microsoft would be making such excellent hardware I’d have laughed, yet they’re shaping up as the brand to beat. In fact, the Go would be unbeatable if Microsoft would just bundle the Type Cover. The final travel spec that matters with the Go is battery life. It managed just shy of 9-hours in tablet mode playing Sky GO and YouTube content. This decreases noticeably once the Type Cover is attached. Knocking out docs and wasting time on the web saw the Go conk out after just under four hours. For use on a plane to watch movies and TV shows or catch music, battery life was fine and, realistically, who works on a plane for more than three hours at a stretch? Speaking of the Type Cover, Microsoft deserve some serious kudos for its design. Considering its almost wafer-thin figure, it offers up a surprisingly amount of tactile feedback and proved to be very usable for touch typing. Its touchpad is responsive and what you’d find on a bog-standard laptop. When not in use, it also makes a great screen protector. 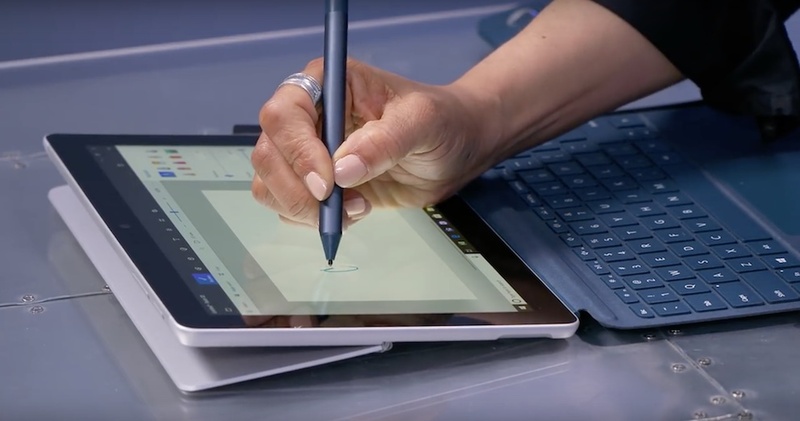 The Surface Pen is also not bundled. It can be had for an additional $140-$160 depending on where you shop. The pen is handy for signing documents and doodling ideas but at that price, you may find better value in the excellent, yet underrated, Surface Mouse and a good Bluetooth keyboard. The Go is close to being the perfect travel companion. It’s hard to beat for sheer portability, and its lightweight design means lugging it about need not result in chiropractor bills. Add to this its solid battery life when used as an entertainment device and the sheer versatility of Windows 10, and there’s a whole lot to like.